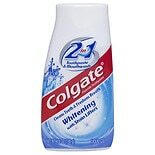 Colgate 2-in-1 Whitening Toot...4.6 oz. 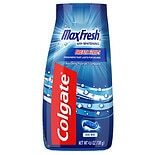 Colgate MaxFresh Anticavity F...4.6 oz. 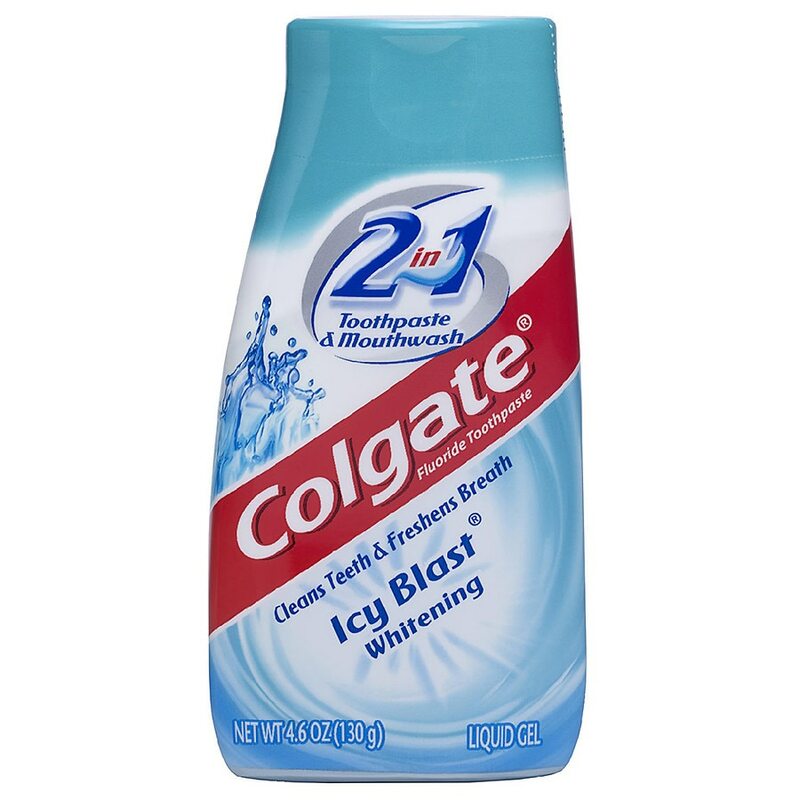 Colgate 2-in-1 Whitening Toothpaste Gel and Mouthwash, with a great Icy Blast flavor, fights cavities like toothpaste, freshens breath like mouthwash, and whitens teeth. Colgate 2-in-1 Whitening Toothpaste Gel and Mouthwash, with a great Icy Blast flavor, provides benefits from both toothpaste and mouthwash. This whitening toothpaste gel fights cavities like a toothpaste and freshens breath like a mouthwash. Colgate 2-in-1 Whitening Toothpaste Gel and Mouthwash helps restore the natural whiteness of your teeth with stain lifters to make your smile much brighter. Remove tab with arrows to open cap.